From a playing career overseas to coaching minor hockey in the GTHL, Vaughn Kings Minor Midget AAA Head Coach Beau Moyer brings experience and expertise to the Kings organization. Moyer’s playing career began at the age of 4. From there, hockey led him to stints in Junior A, third division NCAA, and overseas to Germany. 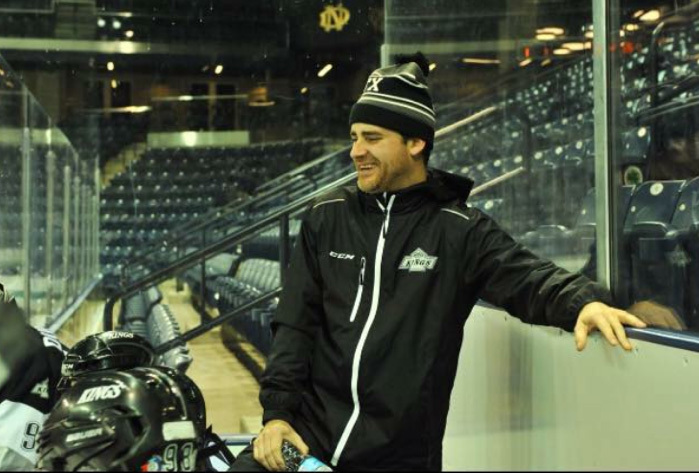 His passion for the game has given him the tools to succeed as a coach in the GTHL. Since the decision to take on coaching, the now 10-year coaching veteran hasn’t looked back. Moyer continues to stick with the philosophies he held when he started his coaching journey. Although the development of his players is important to Moyer, the development of his own coaching tactics has brought learning experiences in itself. At the end of the day, seeing his players succeed is the greatest reward. As for new coaches, or parents thinking about getting into coaching, Moyer gives some advice to those who look to take on the challenge of being the bench boss. Beau Moyer and the Vaughan Kings are set to take on the Toronto Marlboros in the second round of the Scotiabank GTHL Playoffs. Their first round win against the Mississauga Reps has guaranteed them a spot in the 2017 OHL Cup.